There is a luxury vinyl flooring (LVF) option available that has the luxurious allure and beauty of natural stone, ceramic, or hardwood, for a much friendlier price tag. The look of travertine tile never seems to fail, no matter what decorating style is being employed. LVF has advantages that stone can't offer. Digital 3D print technology authentically captures a hard-carved stone look. The gentle color movements of natural travertine are replicated. The reaction extends to individual tile variations. 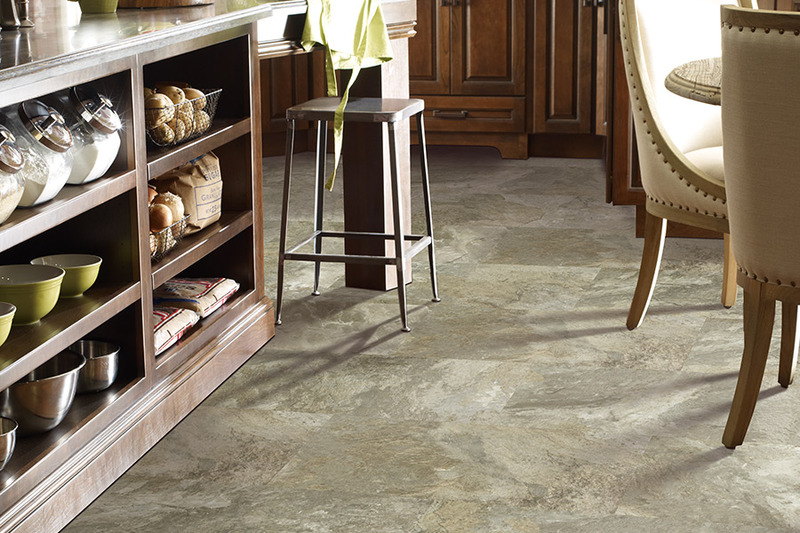 A luxury vinyl tile that looks like travertine is created. LVF is a match for what busy households with active pets and kids can dish out. 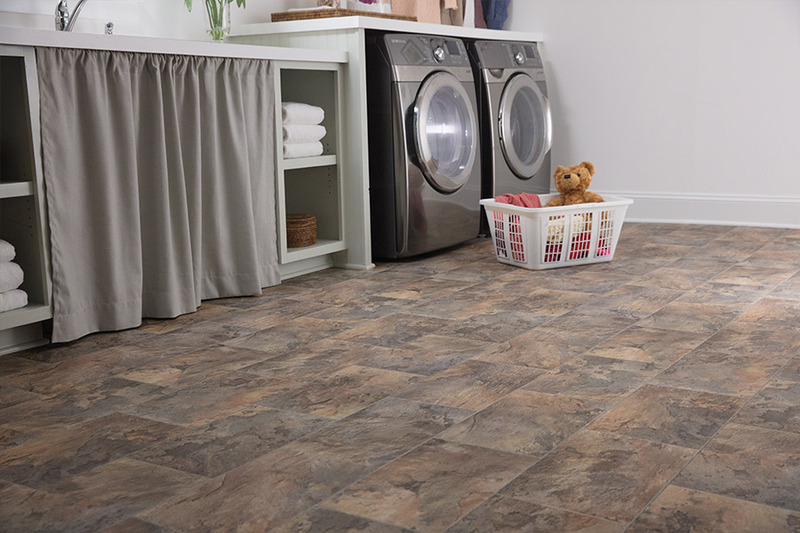 It is easy to keep luxury vinyl tile looking great. Just sweep or vacuum to remove loose dirt and damp mop as needed. Natural stone requires special cleaners and sealers. Ceramic tile flooring, while beautiful and enduring, has a surface that is vulnerable to scratches and breakage. Ceramic tile has to be regularly maintained to protect it from stains and damage. It is also cold and uncomfortable to stand on for extended periods. Luxury vinyl is an alternative that offers subtle color movement and depth. LVF is breathtakingly beautiful. Its high-performance, durable surface is designed for everyday activities. Luxury vinyl captures the high-end look of ceramic in textures and colors, that make distinguishing it from ceramic difficult. Innovative manufacturing techniques create random patterns. No two tiles are the same. The tiles feel soft and warm underfoot. Adding grout is a design option in addition to a wide range of styles that allow a unique space to be created. 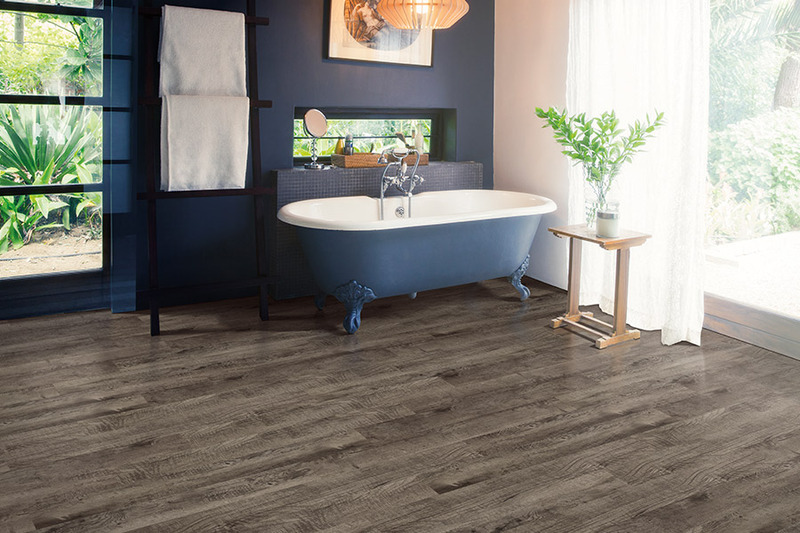 Luxury vinyl planks bring the same beauty and warmth to a space as genuine wood. LVP can be placed in every room of the home, including those areas prone to getting wet. 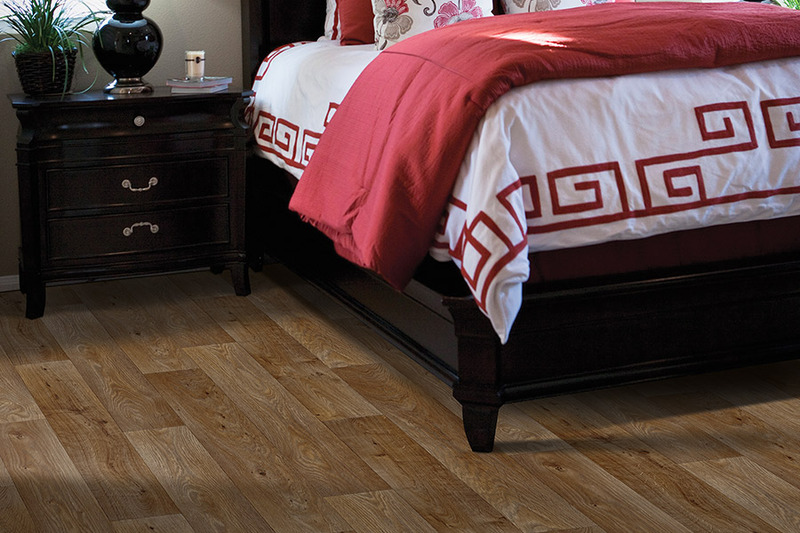 The luxury vinyl planks are not only durable, but they are water-resistant. 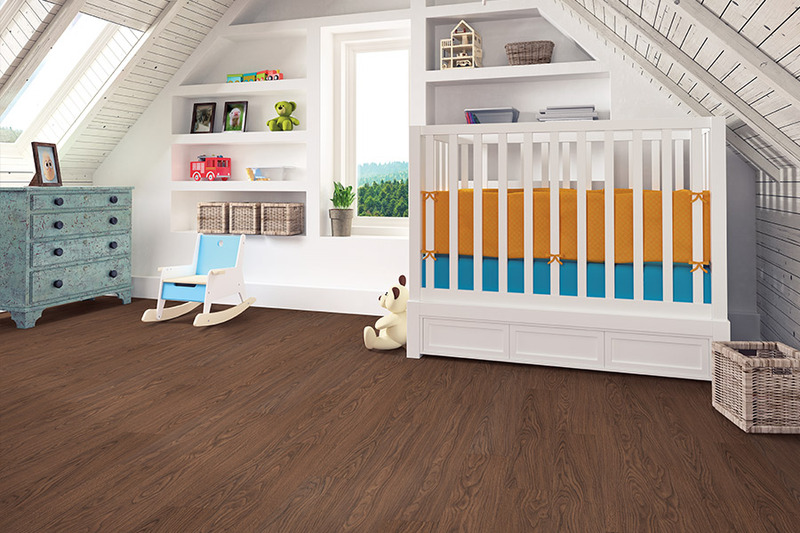 You have the look of hardwood on a tough, resilient surface that will handle heavy traffic, pets, and children. Customers from Pullman, WA and Troy, Moscow, and Genesee, ID have chosen LVF and LVP that looks like travertine, ceramic, or hardwood. The selection of luxury vinyl tile we offer is on display in our Moscow, ID showroom.